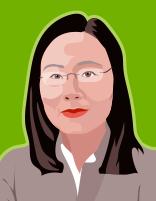 Ms. Wei has 20 years of experience in Human Resources Management on a global scale. She previously worked for Phillips and Canadian Tire Corporation. In her position at Phillips she gained experience with HR in India, China, the Netherlands and USA. At Phillips she led the development of a leadership program, developed and implemented Service Competency Profile to lead service team transitions, developed and implemented change management and communication plans for operational consolidation initiatives, identified talent development and organizational structure practices, initiated and organized business review and planning process with profit center owners and central support teams to ensure alignment and integration of cross-functional teams to achieve desired financial outcomes, and acted as an advisor to CEO on key leadership and organizational performance issues. Ms. Wei holds an MBA from the Rotman School of Management (University of Toronto), where she majored in Strategy and Finance and made it to the Dean’s List in both years. She also holds a Human Resources Management Graduate Certificate with High Honours, from Seneca College, an M.A. in Applied Linguistics from York University, and a B.A. English from Central China Normal.